Paul OConnor started as a Lecturer in Primary Care in January 2013 after coming to the National University of Ireland, Galway as a Senior Research Methodologist in July 2010. 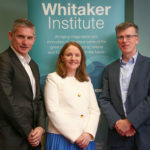 He is the Research Director of the Irish Centre for Applied Patient Safety and Simulation (ICAPSS), and Co-director of the Diploma and Masters in Patient Safety and Simulation. He was awarded a Ph.D. in Psychology from the University of Aberdeen in 2002. Prior to coming to Ireland he was a Medical Service Corps Officer in the U.S. Navy for eight years. He served as an Assistant Professor in the Operations Research Department at the Naval Postgraduate School, Monterey, California, Instructor in Aviation Psychology at the Navy/Marine Corps School of Aviation Safety, and Research Psychologist and Experimental Diver at the Navy Experimental Diving Unit. His research is concerned with improving human performance and safety in high risk work environments. He has carried out research in a wide range of high risk industries (e.g. civil aviation, offshore oil production), and the military (e.g. aviation, special forces). Most recently he has been carrying out research in healthcare with the aim of improving patient safety and quality of care through addressing the human factors that contribute to poor performance. (2008) Safety at the Sharp End: Training Non-technical Skills. (2010) Human Performance Enhancements in High-Risk Environments: Insights Developments, and Future Directions from Military Research. (2018) The Development of Entrustable Professional Activities for the Irish Intern Year. (2011) An assessment of the relationship between safety climate and mishap risk in U.S. Naval aviation. (2010) Nontechnical skills for Officers of the Deck (NTSOD) rating form: A user's guide. (2010) An evaluation of the construct validity of the command safety assessment survey. (2010) A review of the safety climate literature as it relates to Naval aviation. (2006) Submerged manned testing of the prototype Hydrotech heating system. (2005) Testing of a prototype special operations gas mask. (2005) An investigation of the nontechnical skills required to maximize the safety and productivity of U.S. Navy divers. (2005) A Navy diving supervisor's guide to nontechnical skills required for safe and productive diving operations. (2005) A Navy diving supervisors guide to nontechnical skills required for safe and productive diving operations. (2004) Preliminary evaluation of the aqua lung compact oxygen diving equipment (C.O.D.E.) underwater breathing apparatus (UBA - Phase II: Manned testing in the test pool and ocean simulation facility. (2003) Factoring the human into safety translating research into practice. Volume 2: The development and evaluation of a human factors accident and near miss reporting form for the offshore oil industry. (2003) Factoring the human into safety translating research into practice Volume 3: Crew resource management training for offshore operations. (2003) Development of exposure guidance for warm water diving: Volume 2 - System for investigation of divers' behavior at depth (SINDBAD and special operations forces (SOF mission-related performance measures (MRPM ). (2003) Factoring the human into safety translating research into practice. Volume 1: Benchmarking human and organisational factors in offshore safety. (2003) Development of exposure guidance for warm water diving: Volume 1 - physiology and endurance. (2003) Methods used to evaluate the effectiveness of flightcrew CRM training in the UK aviation industry. (2017) A multi-perspective analysis of a peer teaching programme delivered by interns. Module leader on a range of research methods, simulation, human factors and patient safety courses.